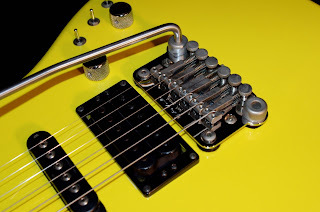 Yeah, I know some of you are saying, "Oh god, not another yellow one..." But read on! 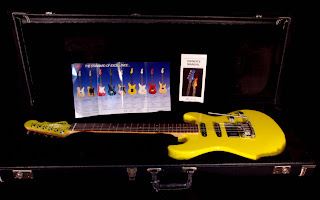 They say this 1987 G&L Invader is in "Excellent+++ condition" and was featured in the book "G&L: Leo's Legacy" by Vintage Guitar columnist Paul Bechtoldt. Another special item is Leo's own tunable bridge, as most Invaders came with a Kahler instead. 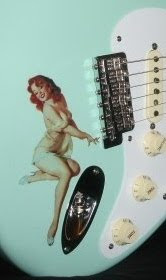 So this guitar has some Leo mojo, as well as the orig. case and candy. 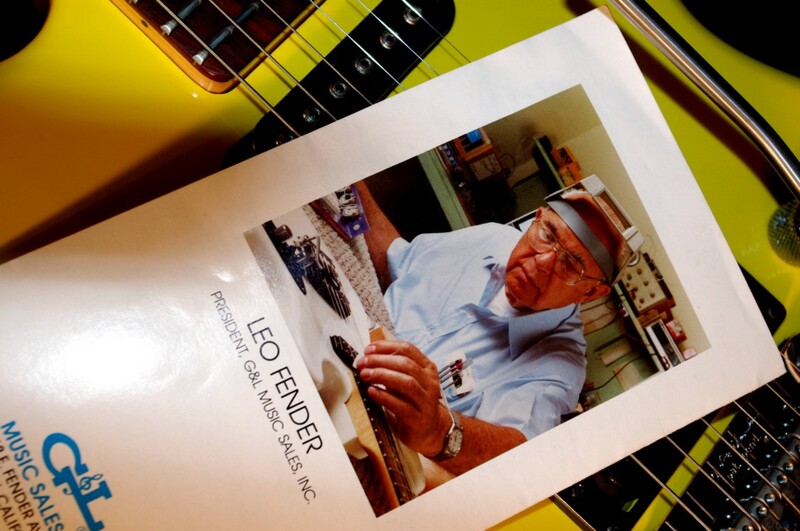 Interestingly, this month we observed what would have been Leo Fender's 100th birthday. Although he passed away in '91, we can see he was still working away on gear designs until it was about time to check out. Seller: Tune Your Sound -100% positive, 4K feedback score. East Coast based collectors who we've seen around eBay for awhile. Serious hi-end gear listings. Also check out the Kubicki Strat currently posted.